Hi! Sorry if I've been missing in action for the past few days. I needed to take a little break after the busy couple of weeks I had with work/study/blogging. Reading fluffy young adult books and napping in the afternoons was such a nice treat! Speaking of nice treat, I got a package from my blogging buddy, Esther! We got paired during the November Snail Mail Collective over at The Nectar Collective. November's theme was "What are you grateful for?" 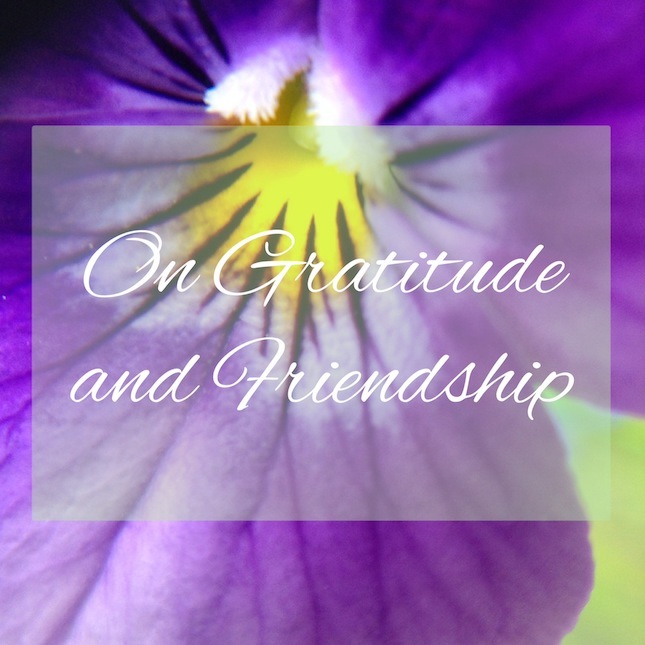 We were asked to send some things that we were grateful for, but as Esther and I got to know each other, I think we both sent some things that we knew the other person would also appreciate. I love everything that she sent me. It's crazy how she seems to have my tastes down to a T! The designs on the notebook and washi tapes were definitely ones I would have picked for myself. I'm so glad that I met Esther. She is crazy talented with her photography, so open and candid. I admire her and her husband for doing a fair bit of giving back. The t-shirt she sent me above is part of Heart Philippines, a fundraising project that Esther launched with some very talented friends of hers. I'm especially grateful for this, as I originally come from the Philippines. It's funny, I think we sometimes attract the things and people that we need in our lives, at just the right moments. I met Esther around the same time that I started trying to focus more on being grateful for everything in my life. If you read through her blog, you'll see that she's been doing this for a while. I'm truly grateful that I met Esther this year. This might sound really corny, but reading through some of her posts made me think more about gratitude, how truly lucky and blessed I am, and about going after my goals and dreams. Who are you grateful for meeting this year? Why? It's true! I think we meet people when we are supposed to, it's happened to me too! :) I met another blogger who has blogged a lot longer than have, and his posts are often my inspiration and motivation - it's all about timing really. I love the gifts! It's all cute and useful too! P.s I really like the blogger link ups! aww thanks girl!! :) I'm so grateful that I met you too! I also think that this whole Heart Philippines and going to the Philippines became much more personal since I met you. I'm glad you liked everything and that you tried the kit kat. haha so your childhood medicine is passion fruit flavor? That's cool that you met someone that you hit it off with. I have never seen a passion fruit flavored Kit Kat before.